The beauty evolution of the 'Friends' star. It&apos;s also a cautionary tale about the over-use of injectables—which is why I&apos;ve received multiple requests to do a Before & After on Courteney Cox. Although the 51-year-old Friends star and former model has been in the public eye for more than 30 years now, the Daily Mail noticed something different about her face recently. Something that rendered her "unrecognizable." Kicking things off is this &apos;80s-tastic modelling shot of Courteney at age 19. You&apos;ve gotta love the poodle perm, stripey blush, cool-toned makeup and bushy brows. Oh wait—I actually do love the brows. Judging from her features here, I think she&apos;s one of the few celebs who hasn&apos;t touched her nose. Lips are another story! Courteney Cox in a 1985 photo shoot for &apos;Misfits of Science&apos;. Courteney kept the same boyish, layered hairstyle through 1985—I think it&apos;s pretty adorable. She traded the pink makeup for more natural-looking tawny shades, although I detect a minor case of The Eagle. Courteney Cox at the 1990 premiere of &apos;Jacob&apos;s Ladder&apos;. By 1990, Courteney was 26, and it was the era of shoulder pads and business suits as evening wear (PLEASE let that fashion trend not make a comeback!). Frizzy hair was the beauty look, along with marsala lips and no blush. Courteney Cox at Michael Keaton&apos;s Hand and Footprint Ceremony in 1992. The &apos;90s skinny eyebrow trend just claimed one of its first victims. Courteney went from full, thick arches in 1983 to these thin and angular ones—and when we get to the more recent photos, you&apos;ll see that she never fully recovered. Also note the hair flip, a trend that&apos;s right back in style today. I think Courteney must dye her hair black because it looks like her roots are a softer brown. Courteney Cox at the 1994 NBC Sponsors Convention. When &apos;Friends&apos; debuted in 1994, Courteney suddenly became super-famous. She was 30 here and sporting a version of the mid-length hairstyle she wore through the mid-&apos;90s. I can&apos;t believe the obvious bottom lip liner thing was happening even back then! Courteney Cox at the 1997 MTV Movie Awards. Courteney Cox at the 2002 premiere of &apos;The Good Girl&apos;. And now for a complete palette cleanse! Courteney was 38 here, and this look is so classic that it&apos;s still perfect now, 14 years later. I love the softer brown hair on her; it&apos;s less harsh than the jet black. Her "winter" colouring is also beautiful against the raspberry lipstick. She really has the most amazing clear blue eyes, doesn&apos;t she? Courteney Cox at Saks Fifth Avenue&apos;s Unforgettable Evening event in 2005. I&apos;m not sure what was happening here; I can&apos;t put my finger on it, but I probably wouldn&apos;t have recognized this woman as Courteney. Maybe because this was pre-Botox and pre-Restylane? Her brows looked great in 2002, but here they&apos;re back to a thin and angular shape. Courteney Cox at the 2009 RIAA and Feeding America Charity Ball. Eeks! Am I horrible if I admit that the first person this photo reminded me of was Michael Jackson? Courteney was 45 by this time, and I think it&apos;s safe to say she had now started on the Botox and filler. But it&apos;s not just the over-inflated cheeks and frozen forehead that are a shock. It&apos;s also the return to solid black hair, which can look a bit wig-like against pale skin, especially when the curls aren&apos;t brushed out. Courteney Cox at the Los Angeles Antique Show opening night party in 2010. Ahhh... that&apos;s better! In 2010, age 46, she turned things back around. I seriously love her style here, from the modern pink makeup tones to the dangly earrings and face-framing hair. Yes, her cheeks still look "done," but the overall vibe is much fresher. Courteney Cox at the 2011 premiere of &apos;Scream 4&apos;. Whatever interventions Courteney&apos;s done here look just fine, although the fact that her hair is partially covering her cheeks may be helping her cause. She was 47 at the time, and we can all agree she is S-T-U-N-N-I-N-G. Her hair is impossibly shiny, and she wears these cold makeup tones better than anyone else. Courteney Cox at the 2012 EBMRF and PlayStation Epic Halloween Bash. The following year, she stepped out with barely-there makeup and this amazing air-dried hair texture—those things alone give her such a relaxed, youthful appearance. But her cheeks look unnatural and almost masculinize her face. I&apos;m also perplexed at how her brows are more precise than ever, when 2012 was the height of the bold brow trend. Courteney Cox at the 2013 book launch for &apos;Yogalosophy&apos;. Courteney&apos;s face softened somewhat by 2013, or maybe we&apos;re just looking at the natural ebb and flow of injectables (which only last a matter of months before they start to deflate). There is a wrinkle on one side of her nose that may be from Botox impairing the natural muscle movement; it was apparent in 2009 as well. I&apos;m still amazed at how clear and bright her eyes are! Courteney Cox at the 2014 premiere of &apos;The Comeback&apos;. And now she started dabbling in... lip injections! I do think she probably had them before 2014, but it&apos;s most obvious in this picture. The lips (and the cheeks) just do not fit her face. That said, I love the pink lipstick and blush. Courteney Cox at the 2015 premiere of &apos;Hand of God&apos;. Here it is... The Scary Photo. 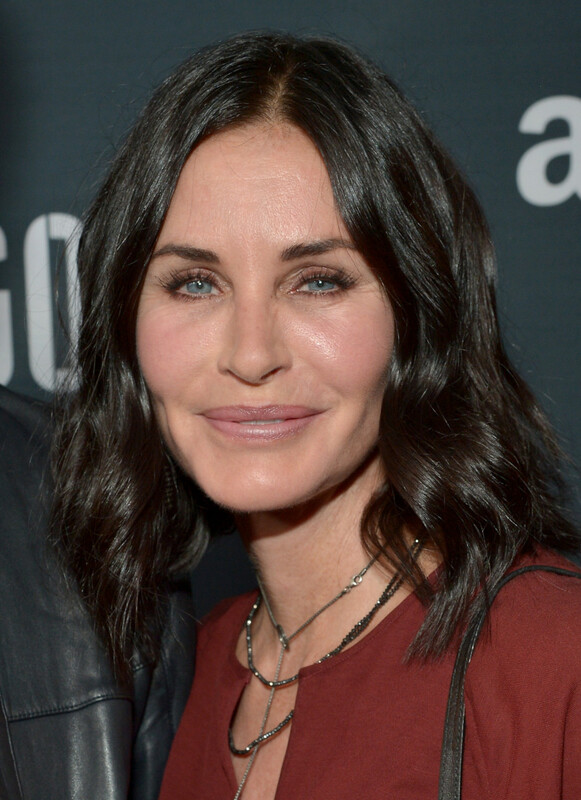 Suddenly, Courteney went all Jocelyn Wildenstein on us! 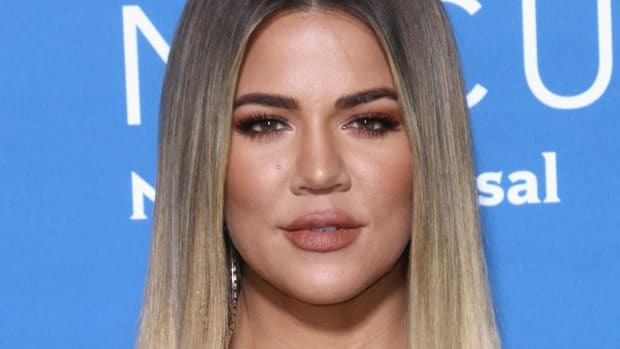 It&apos;s way too much filler in her cheeks and her lips, and maybe Botox jabs around the mouth as well because she doesn&apos;t seem able to smile properly. Instead of making her look more youthful, she looks older and cat-like. When will doctors learn not to do this to people?! Courteney Cox at the 2016 BMI Pop Awards. This is our happy ending. I&apos;m guessing Courteney was mortified by her previous red carpet appearance, so she took a big step back on the fillers. Here, her cheeks look more natural than they have since 2009! If there are also Botox and lip injections, they&apos;re soft, not overdone. Her skin seems a bit red and maybe that&apos;s because she&apos;s opting for skin resurfacing procedures instead of the needle—a decision I fully support! 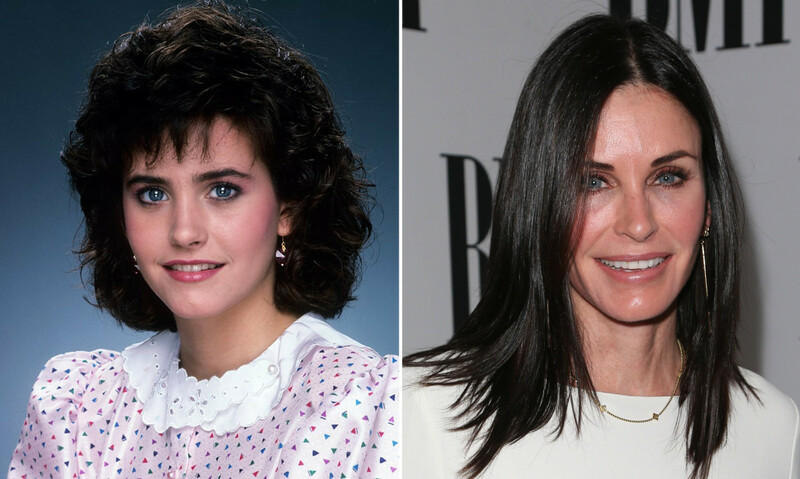 Courteney Cox in 1983 (left) and in 2016 (right). In my opinion, Courteney is one of the most naturally beautiful actresses in Hollywood. 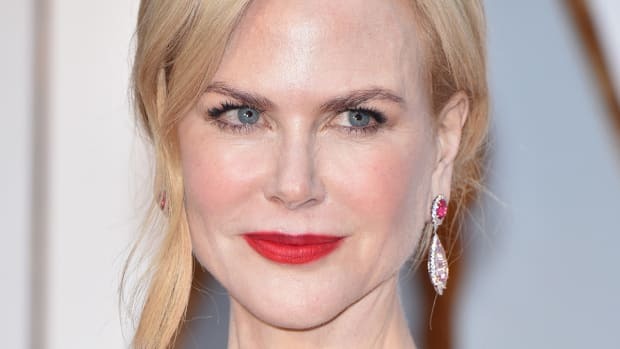 Her delicate features and thin lips might not be "on trend" in 2016, but they&apos;re still gorgeous at any age (at least when she leaves them alone!). I think the lesson here is that injectables, done right, can definitely stall the aging process—Courteney&apos;s 2016 photo at age 51 is amazing evidence of that. But put too much in, and the filler becomes aging instead of age-preventive. When you use injections to add more volume to features than was ever there to start with, it&apos;s a recipe for disaster. Courteney is far from the only one to get that telltale puffy feline face... but you&apos;d think a celeb would know better! Now, I know some people (even doctors) will say these filler mistakes only appear that way because the injections are too fresh and haven&apos;t had enough time to "settle" yet. I give that a big NOPE. To me, it makes no sense to have to live with a puffy face for a month or two before you start to look normal. Better to just get less filler put in, and go back for maintenance more often. Do you agree? How do you feel about Courteney&apos;s beauty evolution?